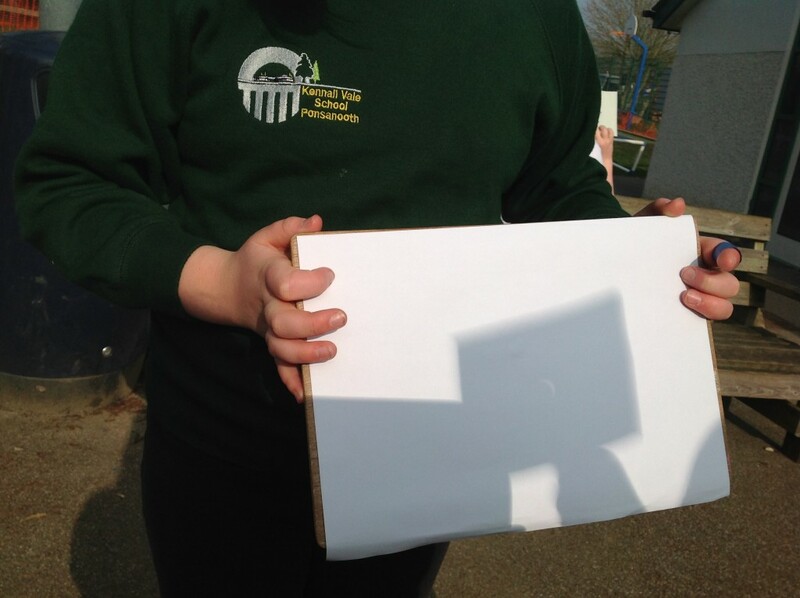 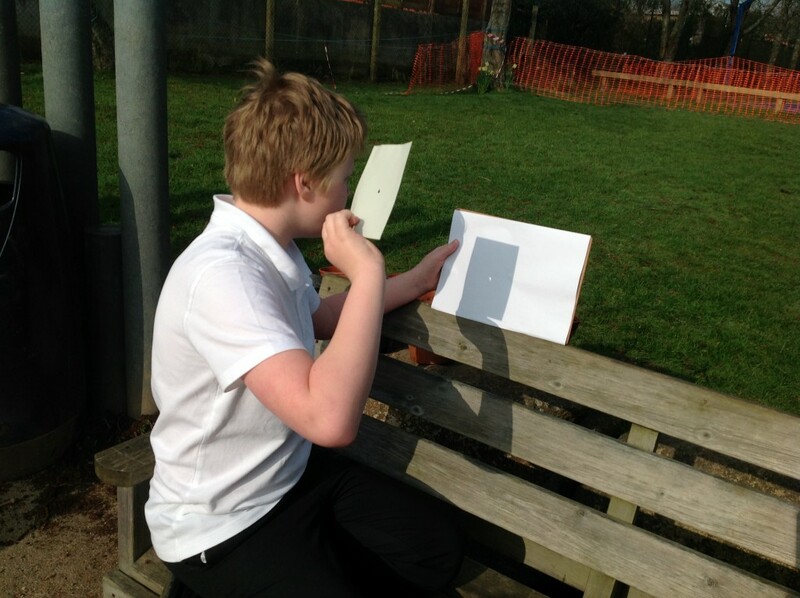 Kennall Vale School » Blog Archive » Eclipse Excitement! Pupils from all classes gathered outside to share the eclipse experience. 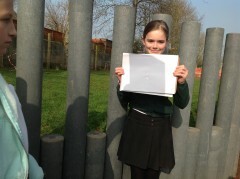 Pupils all worked safely to ensure that the experience was an enjoyable one. 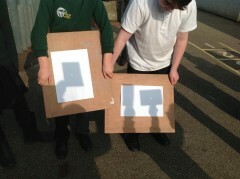 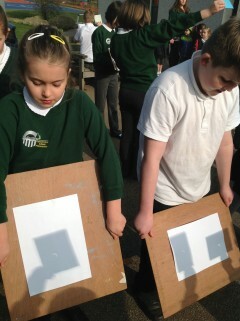 Some pupils brought in and shared viewers they had made at home, whilst class 4 made some pinhole projectors which focused the image on the eclipse onto a piece of plain paper that acted as a screen.